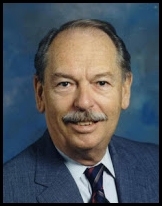 Wayne Clark – Founder, Urban Water Institute, Inc. (In Memoriam, 1928-2018) | Urban Water Institute, Inc.
Wayne Clark passed gracefully on September 18, 2018, with his family and friend by his side; survived by his wife of 62 years, Margaret Clark of Lake Forest, California. Wayne a California native was born in Oakland, graduated from the University of California, Berkeley, after serving his country in WWII during the occupation of Japan. Wayne met Margaret while working at the Orange County Register in 1954. He a reporter and Margaret was a teletype operator. Married in October, 1956, they raised two children. Wayne’s career took him to the first public information officer for University of California, Irvine. He later became president and owner of a public relations consulting firm for more than a decade. Wayne has been an active leader in the water community for 35 years. An elected official he served his community at Irvine Ranch Water District and received special legislation to also serve on the Municipal Water District of Orange County simultaneously. As a community leader, Wayne also served as first chairman of the Irvine City Planning Commission and led the Irvine Citizen’s for Education Committee that founded the Irvine Unified School District. As a retired business owner, Wayne founded and served as Executive Director of the Urban Water Institute (a non profit corporation devoted to providing information on the economics and management of water resources). Wayne served his community well and has left a legacy that is continuing to this day. Wayne will be remembered as a devoted husband and father to his surviving children, Cindi Miller (Jim) and Matthew Clark. A loving Papa to his grandchildren, Nicholas Miller (Gretchen) and Vanessa Garnett (Sonja) and great grandson Elliott Shay Miller-Saunders. He leaves us all rich in memories and will be dearly missed. A Mass will be held at Santiago de Compostela Catholic Church, 21682 Lake Forest Dr., Lake Forest, California on September 29, 2018 at 10:00am followed by interment at Ascension Cemetery, 24754 Trabuco Rd., Lake Forest California. The family would like to thank Erick Chua for his loving care for Wayne. Erick always made his day brighter. In lieu of flowers, a fund has been set up. Make checks payable to “MWDOC for Water Professionals of the Future”, Memo line Wayne Clark, P.O. Box 20895, Fountain Valley, CA 92728. Click Here To Learn More About Urban Water Institute’s Wayne Clark Young Professional’s Water Education Scholarship; All Donations Accepted. Yes, I would like to receive emails from Urban Water Institute, Inc.. (You can unsubscribe anytime). 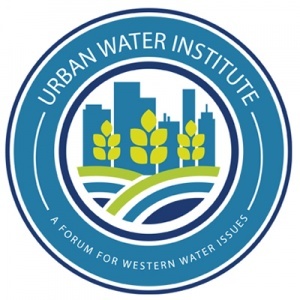 The Urban Water Institute, Inc., was incorporated as a nonprofit public education organization in the State of California in 1993, with the Mission to provide non-partisan information of timely and pertinent interest to the water resource industry, including public agencies and private firms, with particular emphasis on water economics, management and resource policies as they affect consumers and the general economy. © Urban Water Institute · 1993-2018· All rights reserved.